I’ve noticed a new word in our culture’s vocabulary lately: adulting. Seems to be used when someone makes the choice to do the responsible thing even when he’d rather not. Adulting is important. We can’t remain infantile all our lives. But Jesus tells us that in some ways we must be childlike – no adulting when it comes to the kingdom of God! Instead, he says, we should come as little children. What does it mean to come to Jesus as a little child? We seek his blessing. There is a scene in the gospels when parents are bringing their children to Jesus to ask him to bless them. 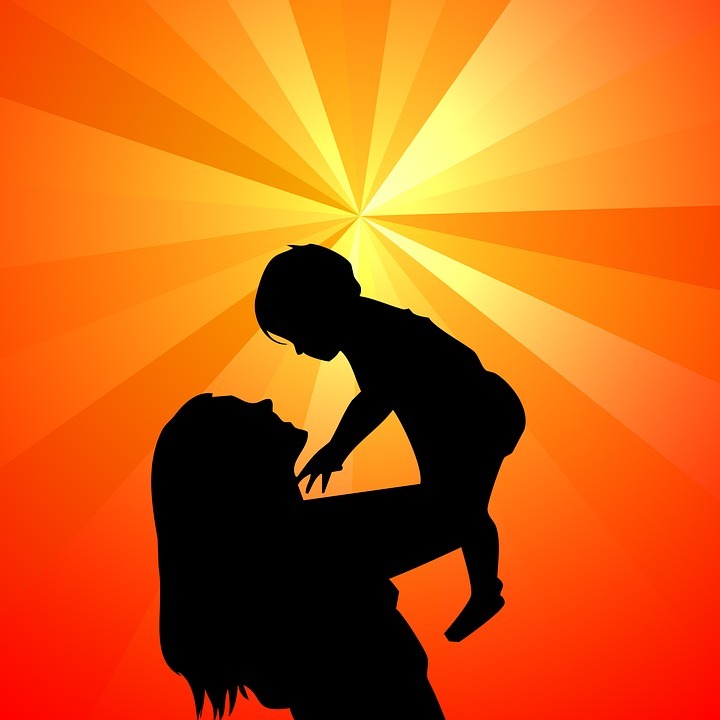 What parent does not want God’s blessing for their child? I still pray he will bless my kids and they’re all grown up! Coming as a little child means desiring his blessing. We listen to him. I imagine the children in Jesus day were fascinated by his stories about lost coins, people, farmers, and sheep. Maybe our coming to God as little children today means hearing those stories with open ears and ready hearts. We stay close. The biblical scene in view is Jesus holding children on his lap. Don’t you think they loved his affection? We do, too. He wants us to come as trusting children, staying close enough so he can touch us. At Christmas, we remember Jesus came to our world as a little child, ready to do his Father’s will. Then he turns the tables and invites us to do the same to enter his kingdom. God’s kingdom is one place where we all need to be children! The day started out like any other day in the village of Nazareth years ago. But, for young Mary, everything changed with a surprise visit from an angel who announced she had been chosen to bear the Son of God. Would she do it? Yes. She would be part of God’s plan. 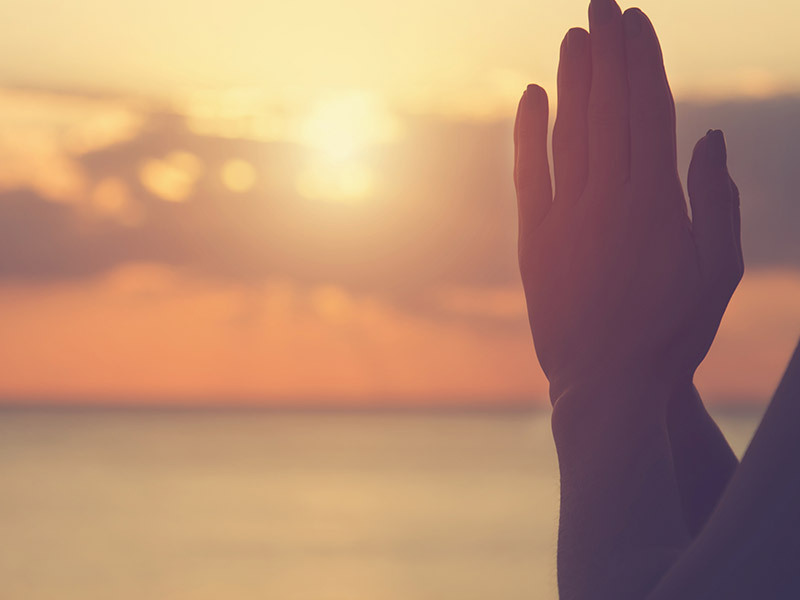 Saying “yes” to God is a good thing, right? If we’re doing his will, he’ll make it easy for us. He’ll show the path, open doors, bring the right people to help us, and generally smooth the way. Not always. Just ask Mary: finding no suitable place to birth this miracle child, thinking at one time he may have lost his mind, hearing of his embarrassing confrontations with respected religious leaders, and then watching him die a criminal’s death. When we say “yes” to God, we know the journey with him will have a glorious end, but we must expect hindrances, challenges, pain along the way. The plan of God includes suffering. Mary knows. Jesus knows. I imagine you know, too. If you’re suffering, it doesn’t mean God has abandoned you. It doesn’t mean you’re not doing his will. Saying “yes” to God does mean when the suffering comes, he’s there with us. When we choose to follow him, we’re never alone. When we hurt, he hurts with us. When we’re anxious, he gives us peace. When we’re in pain, he comforts. And, finally, at the end of the suffering, there is joy. Think resurrection. Think eternal kingdom. Joy, inexpressible joy, will come. Imagine you want to buy a Christmas gift for a special little girl. You shop for the cutest, cuddliest baby doll you can find, put it in a box, wrap it in beautiful paper, tie it with a bow, and give it to her. She might take the box, open it and hold the doll in her arms. But after a few minutes, she puts it back under the Christmas tree and runs off to play. A better scenario? 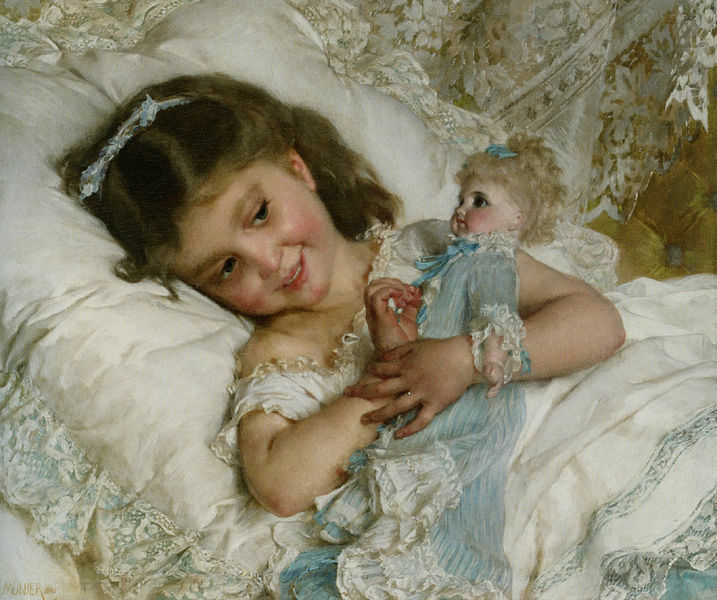 She opens the box, takes the doll in her arms and carries it everywhere. Months later her mom tells you that your gift is the girl’s constant companion. The doll goes to preschool, to church, and to the grocery store and when the little girl is tucked into bed, the doll is tucked in with her. As the giver of the gift, you smile – this is exactly as you had hoped it would be. When God sent His Son to earth, it was His intention for Jesus to be with us. Many look into the manger at Christmas time, comment on the beauty of the scene, and go on about their business. Others actually embrace Him as Savior, but tend to leave Him under the tree as life draws them away. What would make the Giver of the Jesus gift most happy? If we make Him the center of our lives, being aware of His presence with us wherever we go and in whatever we are doing. Jesus came to redeem us so He could be with us. Look to see who He really is and how much He loves you. He came to be with us, but waits for our response. Let’s not turn our backs on the amazing gift of His presence. Let’s continue our thinking about Mary and Joseph, in that cold, dark stable in Bethlehem many years ago. The baby has been born, they are holding him, loving Him, and wondering what to do next. Then as they look into his sleeping face, the doubts creep in: He looked like an ordinary child. Could this infant really be God? They may have thought that, somehow, deity would look different from this. Sometimes when God directs us, we start on the path and then, when things don’t turn out exactly as we thought they would, we begin to doubt whether we heard God correctly. Did He really direct us? Did we misunderstand something? That’s when God will reassure us if we let Him. For Mary and Joseph, God sent shepherds. Their coming to tell of angelic visitors most certainly would have quieted any doubts they had. We might as the same question: Jesus is still with us. How do we live with Him in our hearts, houses, and workplaces? The best way: in anticipation. With God among us, we sit on the edge of our seats, looking for His fingerprints, asking what He wants of us, and wondering what He will do next. We learn that, when God is with us, amazing things can happen. Watch for it! Can you imagine what it would would have been like to be Joseph and Mary arriving in Bethlehem and preparing to give birth to a child they believed to be God’s own Son? They must have looked at their desolate surroundings and asked: What do we do? What do we need? How can we manage such a birth in such a place? Have you ever felt that way? God has given you something to do (maybe marriage, parenting, work/school, ministry), but it seems impossible. We, too, may have to look around, see what we have, and commit to seeing it through wherever we are and with whatever we find. Then, as Mary’s painful labor went on, maybe for hours, they might have wondered about those angelic visitations. Is this baby being born really God? If so, why is it so hard? Why is it taking so long? We expect that if God is in it, things will go well. But not always. Doing things God’s way can be hard. Mary’s giving birth to Jesus definitely was God’s plan, but it wasn’t easy. The struggle, the anxiety fade away when the baby arrives. I imagine Joseph looking into Jesus’ face and saying, “Oh, Mary, He is so perfect!” And He was. 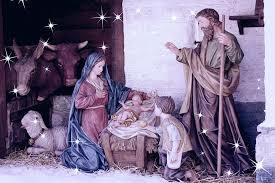 The perfect Son of God, come to earth to live among us. Reliving the story of Jesus’ birth reminds us that doing what God wants can bring anxious moments, doubts, or discouragement, but if we see it through, the end result is always joy. There were announcements of Jesus’ coming birth to Joseph and Mary, and shepherds. But in the darkness of the Bethlehem stable, the most amazing announcement of all came directly from the swaddled newborn boy as He stirred and His cry broke the silence of that night. That baby’s cry was the voice of God Himself. That cry shook the world of angels and demons. Eons ago, they had heard it break the silence as it called the world into being. They knew it as the voice that cast Satan and his angels out of heaven. That voice was now coming from a small bundle of humanity. Could it be? What power was contained in that cry! What foreshadowing of what would come in His life. What hope for the world, created perfectly, now fallen. God had not sent a prophet this time or a king or an angel. He had come Himself and the world would never be the same. The voice of God still speaks today for those who will hear. As we sit before Him in worship and wonder, we listen, waiting to hear again the voice that broke the silence of that holy night. Then we hear it: His voice resounds in the deepest recesses of our heart through His Word and through His Spirit. Receive! Quote taken from a Pray-as-You-Go meditation. Thanks to Deb Karish for posting the Christmas pageant photo from 1980!